Windows 8 on an iPad? Really? I bought a new laptop for teaching so that I can run Windows 8 with Hyper-V for my teaching VMs. I also have an iPad which I used to remote in to my desktop machine and other machines using an RDP application on the iPad called Jump. What I didn’t expect, was that it would be possible to use gestures on the iPad and have been translated into Windows 8 gestures over Remote Desktop. No really,that’s actually a screenshot directly from my iPad. 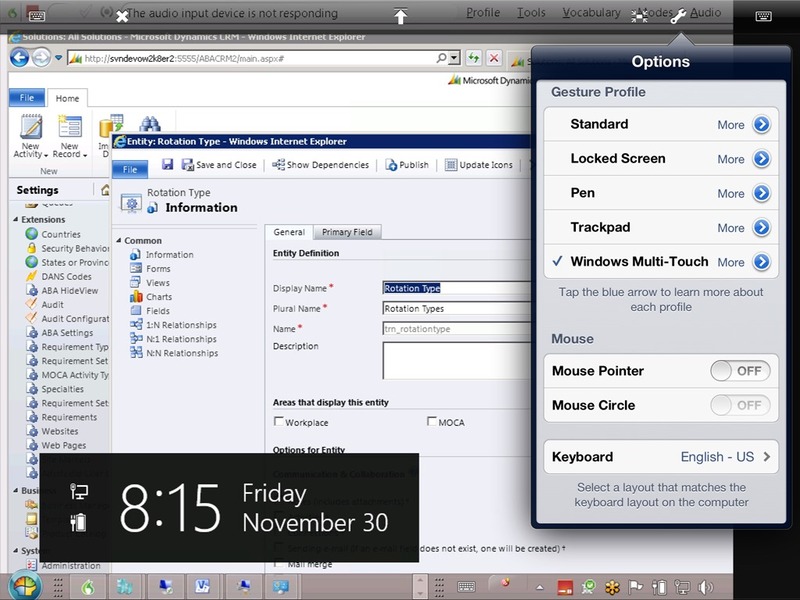 Here’s another screenshot where I have clicked on the tools menu and selected the Windows Multitouch option. Once I enable this option, all the Windows 8 gestures work perfectly, and it even runs over LTE . That’s what actually enables the gestures from the iPad to control the remote Windows 8 machine. As far as I’m concerned, it’s the next best way to have Windows 8 running on my iPad while I’m waiting for a good Windows 8 Pro tablet! I an waiting on the Lenovo Tablet 2 or Lynx, both of which are overdue, but now promised in December. As far as Windows 8 is concerned, I’m getting used to the changes. The biggest challenge I had was giving up the Windows start menu which I fixed by using something called Classic Shell until I get used to the new Metro interface. I’ll be talking about Windows 8 and some of the things that I’ve been through more later. This entry was posted in Windows 8. Bookmark the permalink. 1 Response to Windows 8 on an iPad? Really? 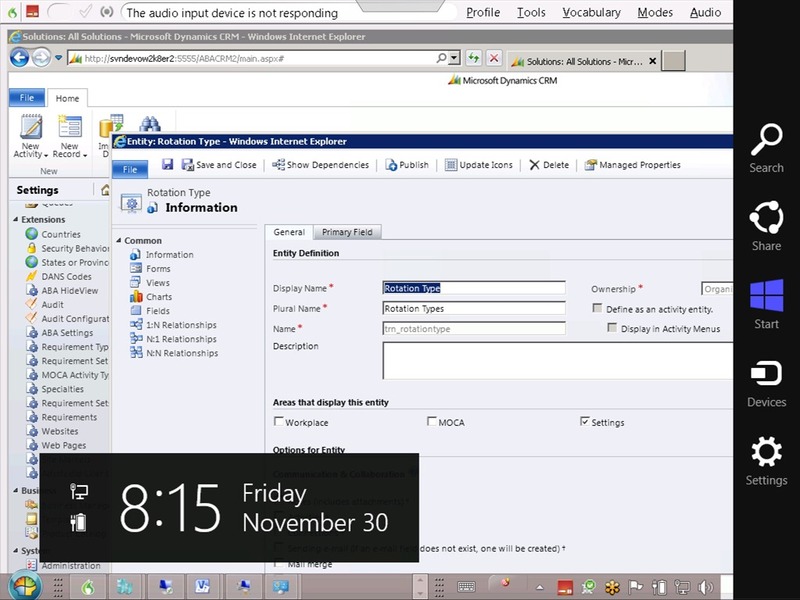 Thanks I have the same RDP app and tested on win8. Works like a charm on iPhone too.